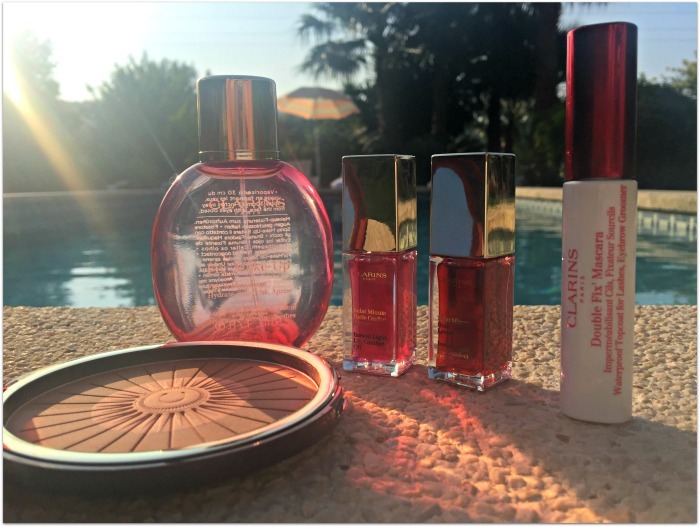 You can always count on Clarins for a lovely and wearable summer makeup edit and this year's Sunkissed collection entirely lives up to its name. A fabulous compact, lip oils, cream shadows and fixing/setting products are all included; they’re all designed to be easy to wear and to use, making them perfect pieces for bringing with you on your holliers. This beauty is the Bronzing & Blush compact. 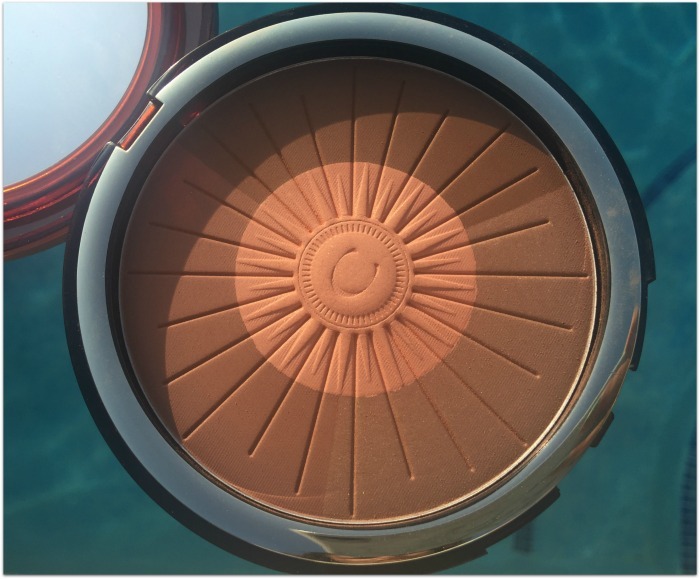 Now, Clarins are (rightly) fêted for their seasonal bronzers, which perform just as well as they look, and I’ve always been a fan – but this just might be my favourite yet. Ok, it totally is. It’s silky smooth and the tones – there’s a cooler and warmer matte shade, a shimmery golden bronze, and a pretty apricot blush in the centre – are just so flattering. The bad news? It’s €45 – but it’s massive, and totally multi-functional. 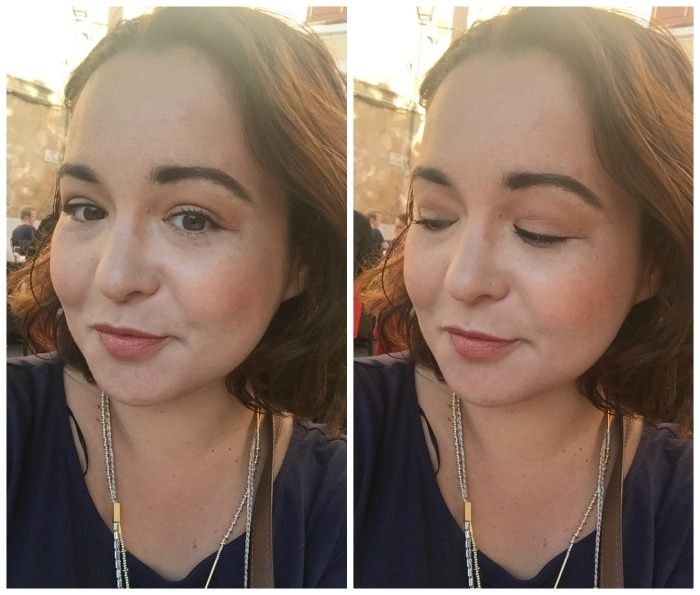 I’m wearing it on my eyelids as well as to blush, bronze and contour, and it was one of just a tiny edit of products I brought with me to Body&Soul this year. See my Instagram or Facebook page for proof! The innovative Double Fix mascara is very clever: it can be used over any mascara to make it waterproof, and does the same job for your brow products too, while keeping rogue hairs in place. This is a great little product for €22 and I like it a lot. There’s also a new shade of Instant Light Lip Comfort oil (Red Berry*, pictured with Raspberry, both €21) a redesigned Fix’ Makeup setting spray (€28) and three very pretty looking cream eyeshadows which I don’t have but want: they’re waterproof (yay!) but also limited edition (sob!). 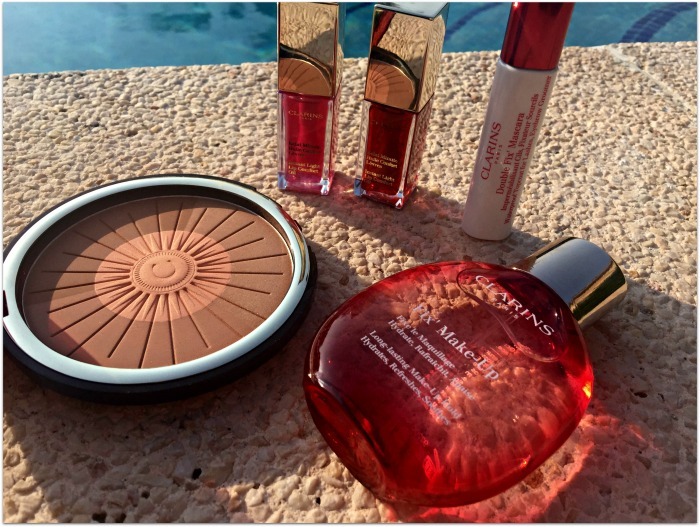 Head to your nearest Clarins counter to check it all out for yourself. *I'm wearing Red Berry in the photos above.